Question: By default, Guest Login allows an anonymous person to log in to my Ubuntu desktop. While the guest login will have limited system access, I want to turn it off. How can I disable guest login in Ubuntu Desktop? 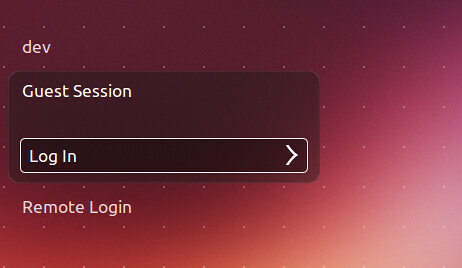 In Ubuntu Desktop, Guest Session is provided by a passwordless user account with restricted privileges. A guest login does not have any permanent home directory or UID/GID. When you log out of Guest Session, any file you created in the temporary home directory or associated UID/GID will be destroyed automatically. Ubuntu Desktop uses LightDM display manager by default. To disable Guest Login in LightDM display manager, do the following. Open the lightdm config file with a text editor. Append the following entry to the config file. Open a config file at /etc/lightdm/lightdm.conf.d/50-unity-greeter.conf, and add the following.